Rockin River Music Fest 2013 to Rock Fraser Valley. 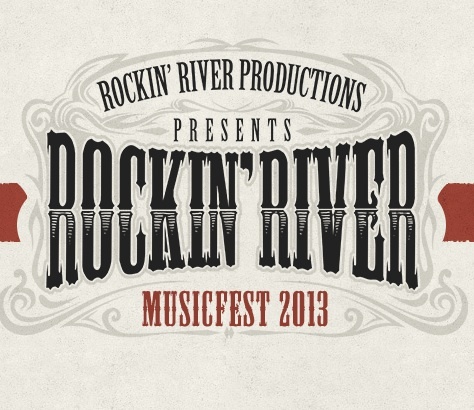 Rockin River Music Fest 2013 to be bigger and better. The best party in the Fraser Valley. Rockin River Music Fest will be back again at the Mission Raceway Park in Mission. Now its 5th year the festival has some amazing new changes. Additional campgrounds have been secured that are extremely close to Rockin River Music Fest. Or if you are looking for great hotel accommodations, the Best Western PLUS Regency is a great option. All vehicle sizes will be accommodated. Lots of food options, great facilities and picture perfect views, and the most talented artist will make the Rockin River Music Fest the best to date! A successful festival relies not only on amazing artists, but also the array and quality of our volunteers. Whether you’re considering being a volunteer for the first time, or have participated in our festival before, we look forward to working with you. The Current Line up at Rockin River Music Fest includes the following talented artist! Tickets can be online or a great option is with Lepp Farm Market now offering 10% off! Students save $30 off a 3 day pass. So bring your friends to Rockin River Music Fest 2013. Visit Rockin Riverfest for more info. Start out going East on LOUGHEED HWY/PROVINCIAL ROUTE Turn RIGHT onto HANEY BYP. Stay straight to go onto LOUGHEED HWY/PROVINCIAL ROUTE Turn RIGHT onto PROVINCIAL ROUTE 11/ABBOTSFORD MISSION HWY. Take the ramp toward LONDON AVE/INDUSTRIAL PARK. Go straight past the lights and turn right to the track. From (east) Hope to Rockin River Music Fest PROVINCIAL ROUTE 1 W/TRANS CANADA HWY W toward VANCOUVER. Take the HWY-11 exit, exit number 92, toward ABBOTSFORD TOWN CENTRE/MISSION/SUMAS USA. Turn RIGHT onto SUMAS WAY/PROVINCIAL ROUTE 11. Continue to follow PROVINCIAL ROUTE Take the ramp toward LONDON AVE/INDUSTRIAL PARK. Keep RIGHT at the fork in the ramp. Turn LEFT at the lights – Junction Mall. Turn LEFT again over the overpass. Turn LEFT at the lights. Turn RIGHT to the track. From (south) Sumas to Rockin River Music Fest Go North on SUMAS WAY/PROVINCIAL ROUTE 11 toward BARRON’S WAY. Continue to follow PROVINCIAL ROUTE Take the ramp toward LONDON AVE/INDUSTRIAL PARK Keep RIGHT at the fork in the ramp. Keep LEFT at the fork in the ramp Turn LEFT at the lights – Junction Mall. Turn LEFT again over the overpass. Turn LEFT at the lights. Turn RIGHT to the track.